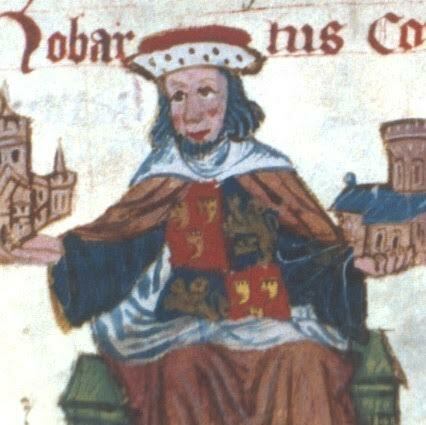 As an illegitimate son of King Henry I of England, Robert Fitz Roy (whose surname means “son of the king”) has a secure position at court, but he is not considered to be a candidate for the royal succession. Already an able warrior at a young age, he accompanies his father in battle and has all the signs of a great military strategist in the making. His closest friends are Brian Fitz Count, another young man living under the king’s protection, and his cousin Stephen of Blois. Together, the three of them are known as “the king’s lads”. Robert enjoys hunting, sport, and games that allow him to employ his strategic mind, such as checks (chess). He has a soft spot for his younger half-siblings, Maud and William Ætheling, and will spend time with them when they are all in the same place. Royal feasts give him a chance to engage in two of his favorite activities: drinking and spending time with amiable ladies. With the king acknowledging him openly and showing him great favor, Robert’s future is bright.